Hash Rush Game - Game is one way to overcome saturation after tired of doing heavy activities, or work that never finished. Playing transforms our feelings into happiness and removes fatigue in our heads because playing the game is fun. Along with the development of information technology. Many things have changed that we can see in the world like the technology blockchain that is rampant to be one that is often discussed. With Blockchain Technology allows projects to use intelligent contract systems for their projects. Start many projects that operate with blockhain technology by creating crypto for the project. 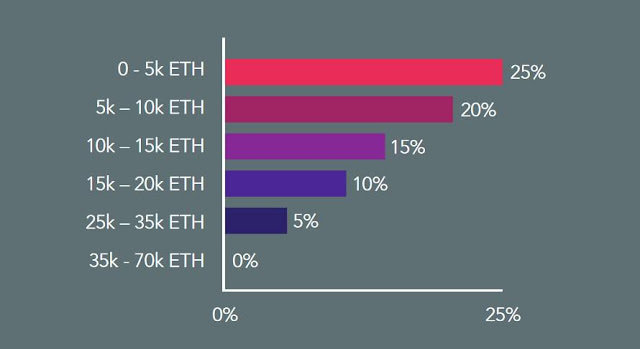 Usually in funding projects they hold ICO or Crowdfund. And now there are new projects that use Blokchain technology to combine their projects in the GAME field. This project is called HashRush. You wonder how fun games can be combined with blockchain technology? I will explain in detail about HashRush, which allows this to be an option for your investment. 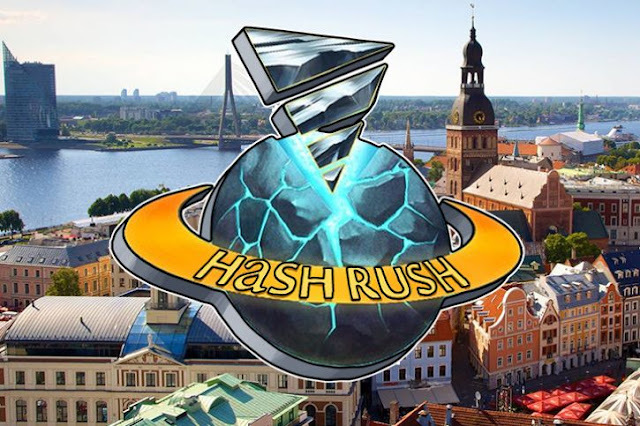 Hash Rush is an online game with a unique browser-based strategy genre wrapped in mining methods, making it a fun cryptocurrency mine available for all walks of life. Can also be considered as Age of Empires with great touch. For the beginning of the game there will be a tutorial segment where it will teach players about the dangers of leaving the game unattended due to a random natural disaster. The players will get an initial mining facility and a solution for the miners to live in. At launch there will be 3 main roles - Mining miners Crypto Crystal, Mining Engineer who oversees the miners and ensures they work efficiently, and Explorers roam the unknown territory around your base to search Crypto Crystal sites and other vital resources . How to Game System Hashrush? 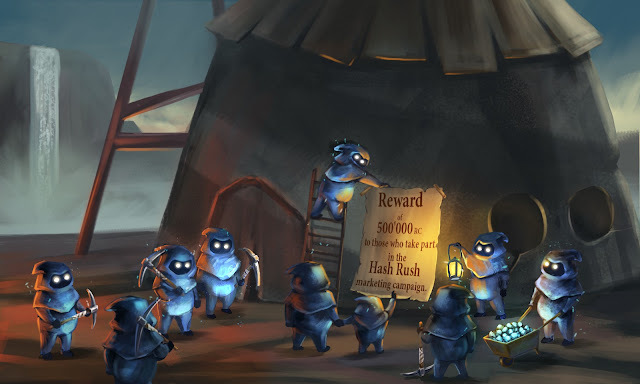 Hash Rush comes with a trading system used to trade valuables. It lets you sell unwanted items and earn some Rush Coins instead. Hash Rush comes with a variety of items, which can help miners, engineers, and in-game prospectors to do their work better. For example, binoculars allow potential investors to see more and reveal more areas. Every unit and item purchased or received by players is accompanied by a card. This card can be traded. Once you have a card, you also benefit. For example, this card provides power for card owners with extra mining. But this is just one example. HashRush plans to release various cards that provide various facilities. There are the usual, and others will be more unique and more valuable. What is the purpose of HashRush? 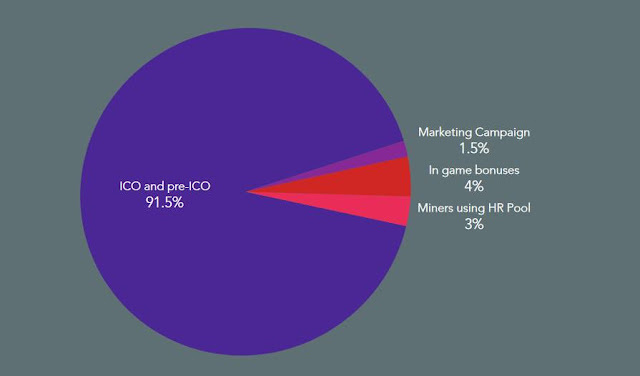 The HashRush (HR) project aims to transform Cryptocurrency mining into a strategy web game. Set in Hermione's futuristic solar system, players build their own mining colony using RUSH COINS (RC) (standard tokens ERC-20) to partake of the huge cacophony of cryptococcal mining. All mining colonies are supported by real-time hash power. HR players compete in single and multiplayer missions to earn in-game bonuses that help them maintain and develop more profitable mining colonies going forward. What is Rush Coin [RC]? How to Get RC Token? How To Participate In ICO HashRush? We really believe Hash Rush will be a great game. But with all that, we need the participation of the wider crypto and gaming community to make this project a success. There are three ways to take part in the Hash Rush project. First, you can join the Hash Rush mining pool later this year. If you choose to mine with us, you will receive in-game bonuses and Rush Coins above your normal payout in ET. Secondly, we are now launching the PR Hash Rush Campaign. Participate in this campaign using Facebook, Twitter or blog of your choice. Active participation will be rewarded with real Coins Rush, so be sure to check it out! Third, this September we organize Initial Coin Offering (ICO) and pre-ICO. This means you can buy the first Rush Coins (ERC-20 compliant). The Hash Rush ICO will run from 20:00 UTC on September 20, 2017 to 20:00 UTC on October 20, 2017 unless a cap of 64,050,000 RC tokens sold is reached earlier. You can participate in the ICO with ETH, BTC, ETC, QTUM. - Transfers can be made from any BTC, ETH, QTUM or ETC wallet. - The minimum Token Launch entry is 0.1 ETH. - On December 1, 2017, RC tokens will be issued to participants Ethereum addresses automatically. - Original payments made in BTC and ETC will be converted to ETH at the rate effective at the time when the rights to RC tokens were reserved. RC coins will be sent to the Ethereum address that will be provided in the contact form or by e-mail.